Gallant to replace DeBoer on McLellan’s coaching staff. TORONTO/NEW YORK (Feb. 28, 2016) – The National Hockey League Players’ Association (NHLPA) and the National Hockey League (NHL) announced today the appointment of Gerard Gallant as an assistant coach for Team North America in the World Cup of Hockey 2016. Gallant will replace Peter DeBoer who has relinquished his role on the coaching staff for personal reasons. Gallant is in his second season as Head Coach of the Florida Panthers. After leading the Panthers to the most improved record in the NHL in 2014-15 with 91 points, a 25-point improvement from the season prior, he has led the Panthers to a strong season thus far as they currently sit first in the Atlantic Division and second in the Eastern Conference. Before joining the Panthers, Gallant served as an assistant coach with the Montreal Canadiens for three seasons (2012-14) where he helped the team reach the playoffs each season. He served as the head coach with the Columbus Blue Jackets for parts of three seasons (2003-04, 2005-07). Gallant has also worked as an NHL assistant coach with the Blue Jackets (2000-03) and the New York Islanders (2007-09). His previous professional hockey coaching experience came in the International Hockey League with the Fort Wayne Komets (1998-99) and the American Hockey League with the Louisville Panthers (1999-00). At the junior hockey level, Gallant enjoyed tremendous success as the head coach of the Saint John Sea Dogs of the Quebec Major Junior Hockey League (QMJHL) where he led the club to a Memorial Cup (2011) and two QMJHL championships (2011, 2012). As a player, the Summerside, Prince Edward Island native was selected in the sixth round (107th overall) of the 1981 NHL Entry Draft by the Detroit Red Wings. Gallant played in 615 career NHL games with the Red Wings (1984-1993) and the Tampa Bay Lightning (1993-1995). Gallant scored 211 goals and 269 assists for 480 points in his career, while his best season came in 1988-89 when he scored a career-high 93 points and he was selected as an NHL Second Team All-Star. Team North America’s coaching staff remains at four members, with Gallant joining the three previously announced assistant coaches – Jon Cooper (Tampa Bay Lightning), Gallant (Florida Panthers), Dave Tippett (Arizona Coyotes) and Jay Woodcroft (Edmonton Oilers). The assistant coaches will report to General Manager Peter Chiarelli (Edmonton Oilers), Associate General Manager Stan Bowman (Chicago Blackhawks) and Head Coach Todd McLellan (Edmonton Oilers). 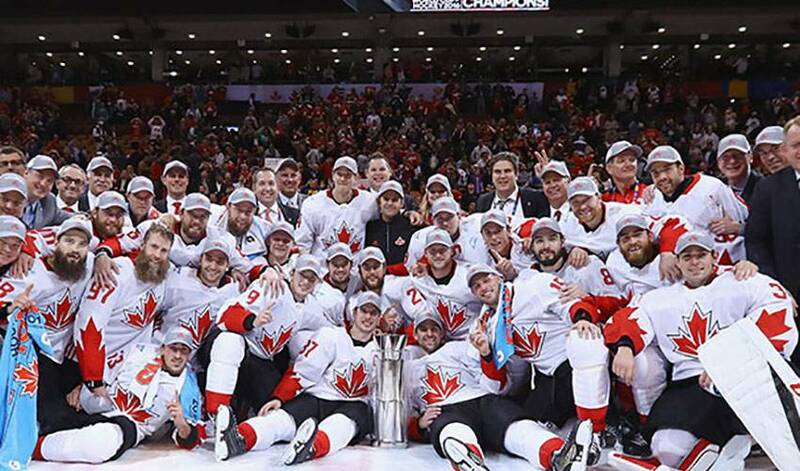 The World Cup of Hockey returns in September 2016 in Toronto, and is a joint effort of the NHLPA and the NHL, in cooperation with the International Ice Hockey Federation (IIHF). It is expected that more than 150 of the best players in the NHL will participate in this tournament. Live coverage of all tournament games will be provided by Sportsnet and TVA Sports in Canada, ESPN in the United States, Viasat in the Nordic Region, and Czech TV in the Czech Republic. Tickets are available for purchase via www.Ticketmaster.ca and www.Ticketmaster.com, the official ticket marketplace of the NHL®. The offering is a World Cup of Hockey 2016 Tournament Pass, which provides admission to all games played at Air Canada Centre during the tournament. Pricing reflects a 17-game Tournament Pass and includes HST. Additional fees may apply. Prices are in Canadian dollars. This opportunity is available on a first-come, first-served basis, while supplies last. For more information on the World Cup of Hockey 2016, including team management updates, visit www.wch2016.com.